As we take complete care of the products that we offer, we make excellent arrangements for their storage as well. Thus, there are minimal chances of damage at buyer's end. 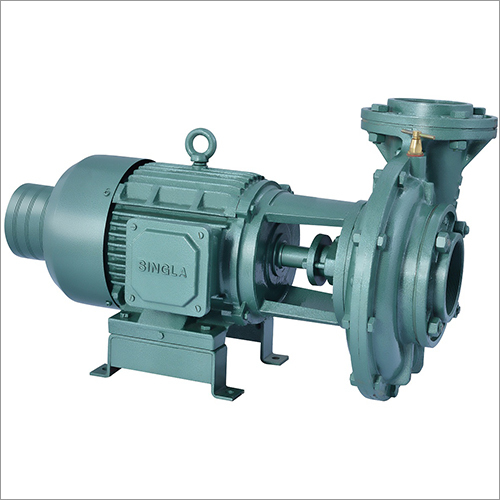 We are a leading name offering the best in class and qualitative array of 3 Phase Low Speed Centrifugal Monoblock Pump Set. Water Supply for Residential Apartments, Hotels, Hospitals etc. Graded cast iron motor & pump body ensures durability. High efficiency which ensures low power consumption. Robust design suitable for adverse conditions. Clean, thin non-aggressive, non-explosive, clear, cold, fresh water without abrasives. Outlet size in inches 3", 4" , 5" & 6"
Inlet size in inches 3", 4" , 5" & 6"